Radon is a cancer-causing radioactive gas that's harmful to your health. Because it emits no odor, color, or taste, it can be difficult to detect it. If exposure to radon goes untreated, it can cause poisoning which can lead to lung cancer. According to the United States Environmental Protection Agency, radon is the leading cause of lung cancer, second to only smoking. Because of its insidious nature, it is important you check your home or commercial property for radon. Because it's a gas, Radon can enter buildings through foundational cracks and openings. The gas decays into radioactive solids, which can be found around the home or business. There are radon tests you can conduct to check the levels of radon present. While you have many tests to choose from, it is recommended that you allow a professional to handle it to ensure accurate readings. At AdvantaClean, we are dedicated to your health and safety. Our radon specialists have the tools and experience necessary to conduct the test and provide precise readings of the results. We help find the right solutions for you. Radon testing is typically a two-day process for short term testing. The test kit should be placed in the lowest lived-in level of the home (for example, the basement if it is frequently used, otherwise the first floor). It should be put in a room that is used regularly (like a living room, playroom, den, or bedroom) but not your kitchen or bathroom. The test sits for 48-hours, before providing a reading. If the results indicate radon levels exceeding 4 pCi/L, our team offers quality radon mitigation and remediation services. The house must be completely closed (ie. Doors, windows, entryways) 12 hours prior to test. There are different radon tests available (i.e. electronic machines and charcoal canister tests). The cost of radon testing will vary depending on which test you use. If you are buying or selling a home, make sure to discuss who is responsible for the testing prior to the real estate transaction. 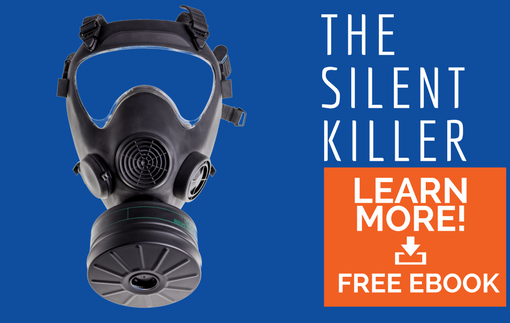 Radon poisoning is a serious threat and annually kills 20,000 people. If you believe you have radon gas on your property, it is important you contact the professionals at AdvantaClean. We use cutting-edge technology and have extensive experience handling such situations. With over two decades of experience backing our services, you can hire our radon specialists with confidence. Our team is available 24/7 in the case of an emergency. While a nationally renowned company, we have local roots. This means we take the time to know our clients and understand their needs. Consider us partners in your health and wellbeing.